In 1993 my father stepped off the airplane carrying an oversized wrapped birthday present. My husband Rob loaded it into the back of the car and noted how heavy it felt. I was expecting my second child in a few months and imagined the box contained a massaging pad for my sore back. The next day after dinner and cake I opened my presents. Rob gave me a pair of Birkenstock sandals. “See, you can adjust the straps as your feet get wider.” Obviously the fact that I had removed the laces from my sneakers had not gone unnoticed. Our three-year-old son Jackson kept asking when he would get his present. Rob unsuccessfully tried explain that it was his mother’s birthday and there weren’t any presents for him. Jackson thrust his head in my large lap and sobbed. Realizing this was his best shot at a gift, Jackson stopped crying. “This is really for everyone,” my father proclaimed as he rested the box at our feet. Jackson and I unwrapped it together and stared at the contents, which included four heavy red balls and four green balls and one tiny white ball. “Oh, it’s a bocce ball set,” Rob exclaimed. Rob, who is of Italian descent, is always approving of anything made in Italy. “That’s right!” Dad said. “Isn’t this the perfect gift?” he said again. He suggested we go play. “Right this minute?” I asked, feeling weary at the thought of it. 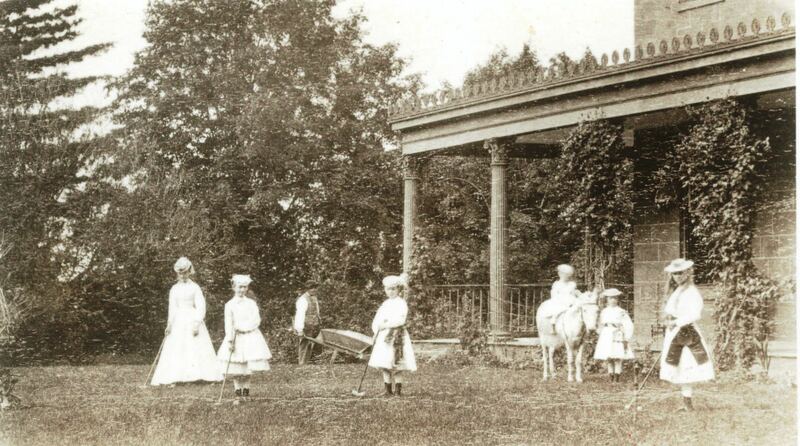 This prompted my father to dive into our exploits of croquet from when I was a child. Our lawn in Illinois had been large and flat and covered in an even bed of perfect grass. The court had been regulation and my father always won. Our current apartment was in a house that faced the Palisades and the terrain slanted downhill towards the Hudson River. 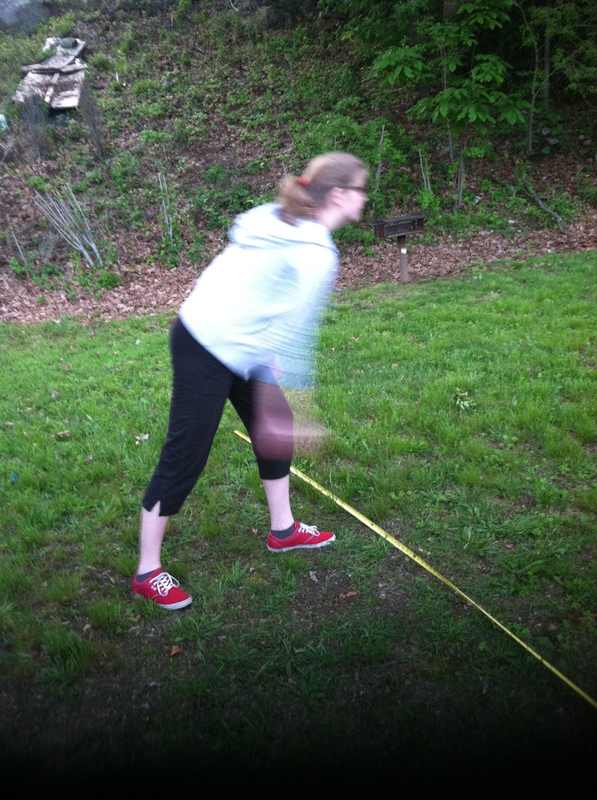 The yard was bumpy and filled with plantains and crabgrass. 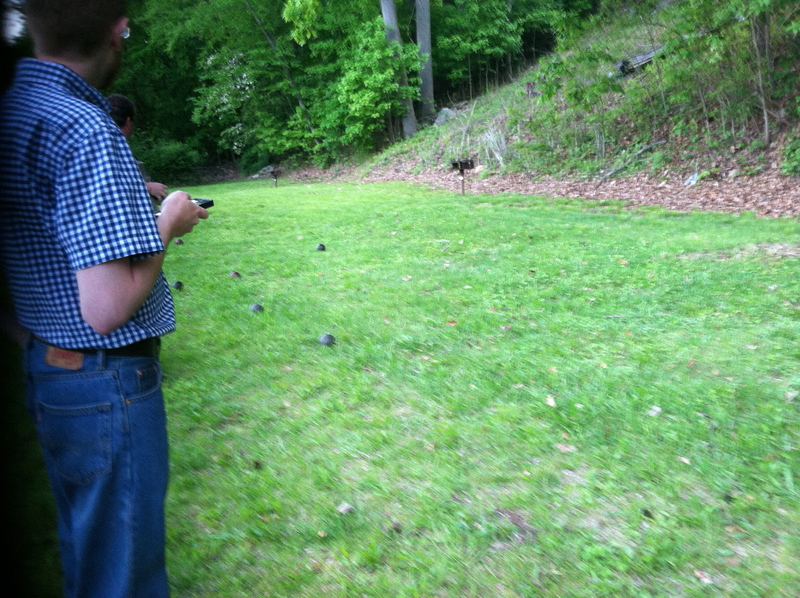 My father explained that unlike croquet, bocce could be played on any surface. We paired off and played. 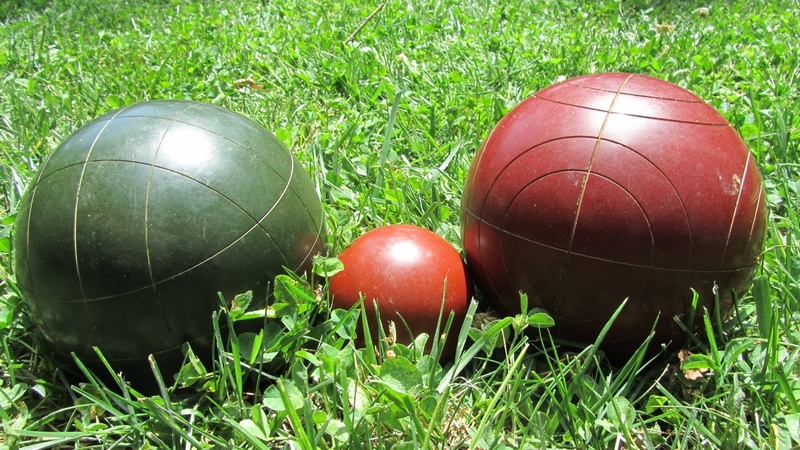 As the shiny wooden balls bounced along our yard my father rewrote the rules of bocce. Once when my father was visiting he pointed out the only level strip of land in the terraced yard and we bandied about putting in a skinny bocce court. In the end we abandoned the idea because of cost and size. 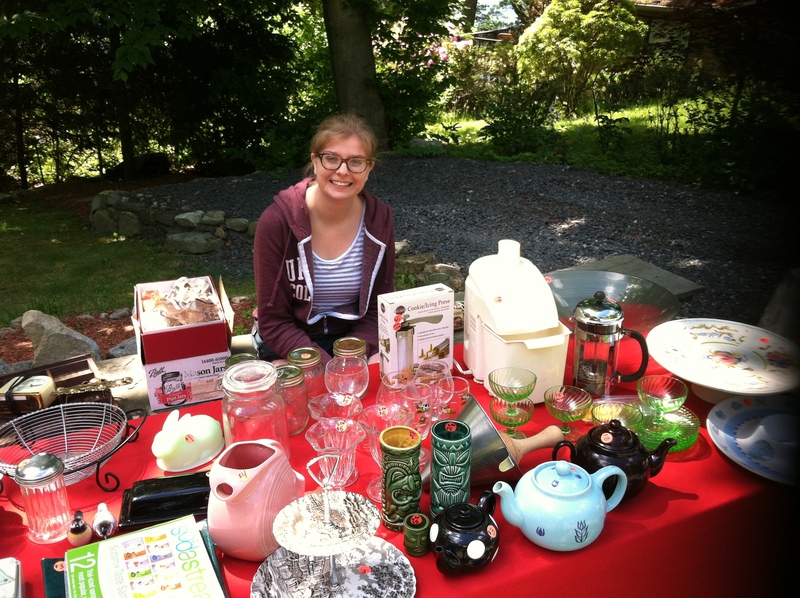 The summer before our daughter left for college she held a yard sale. She was told she could keep all the proceeds from the sale for herself in exchange for doing all the work involved. As she gathered up our junk she discovered the bocce set under the basement steps. “What about these?” she asked, peering down at the dusty balls. My father, who had been dead for almost four years, wouldn’t have known the difference and we hadn’t played with them since before my daughter was born. I picked up one of the heavy balls and wiped away a thick layer of dust with the edge of my t-shirt. I tried to picture all the gifts my father had ever given me but could only remember this one. The weight of the ball transported me back to that birthday and how pleased he had been with his gift. I admired the red wood that still contrasted against the patterned white lines circling around the ball and saw for the first time how utterly beautiful the balls were. “But you never use them,” she argued mildly.